The venue for the match against this year's Nations Cup winners is yet to be decided as Sierra Leone is currently not allowed to host international games due to Ebola. A SLFA statement reads: "The SLFA is honoured to inform the general public that the Ghanaian FA in a solidarity gesture has agreed to a three-month loan with the SLFA for Coach Sellas Teivi Tetteh to serve in a caretaker capacity as national coach for Leone Stars." "The Ghanaian FA President Kwesi Nyantakyi was keen to lend support to the SLFA as a sign of support and solidarity towards Sierra Leone's determination to continue its participation in the games, despite tremendous mounting odds." 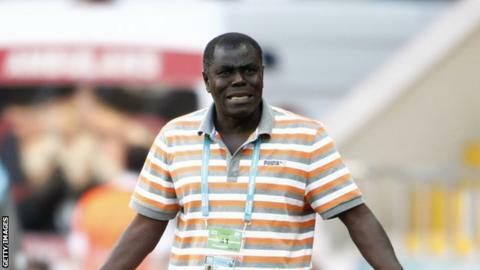 The former Black Stars and Rwanda coach will also be in charge of Sierra Leone's first 2018 World Cup qualifying fixtures home and away to Chad in early October. The SLFA has put on hold the selection of a permanent coach for Leone Stars until further notice, citing "delays in logistical procedures."